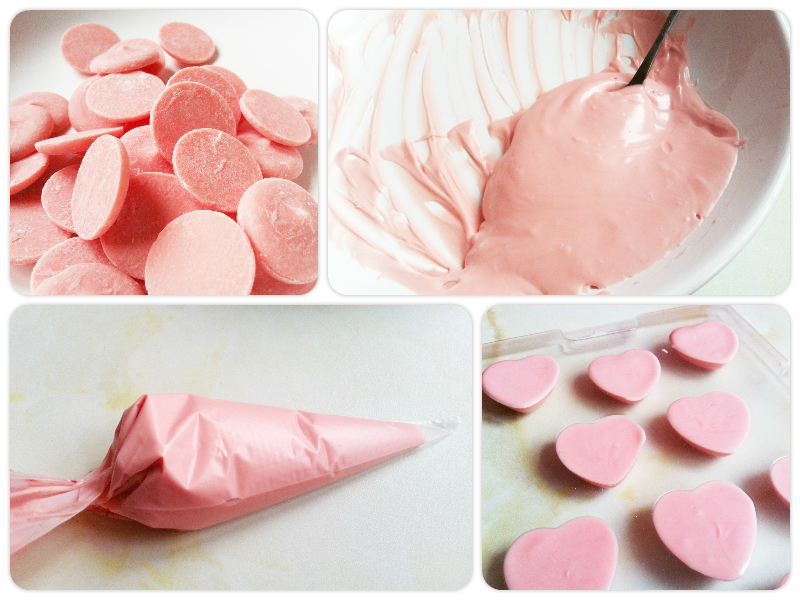 Homemade Valentine's Candies - An Easy Homemade Sweet Treat! It’ll soon be Valentine’s Day and if you’re anything like me you’ve left it to the last minute! If you’re looking for something quick and easy to make for your beloved, then I have got your back! 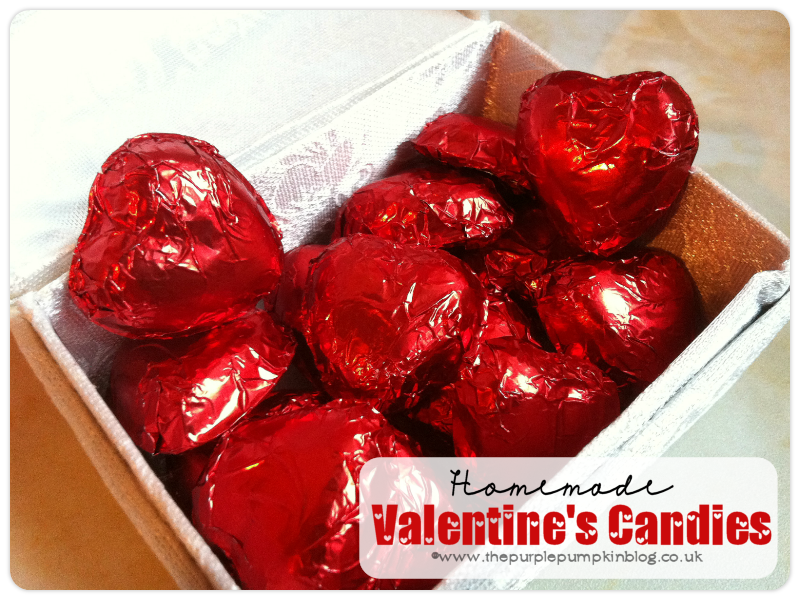 I’m sharing how you can make Homemade Valentine’s Candies! Candy Melts in your colour choice(s) – I used pink. I bought all of these items in Hobbycraft, but you can also purchase them online. 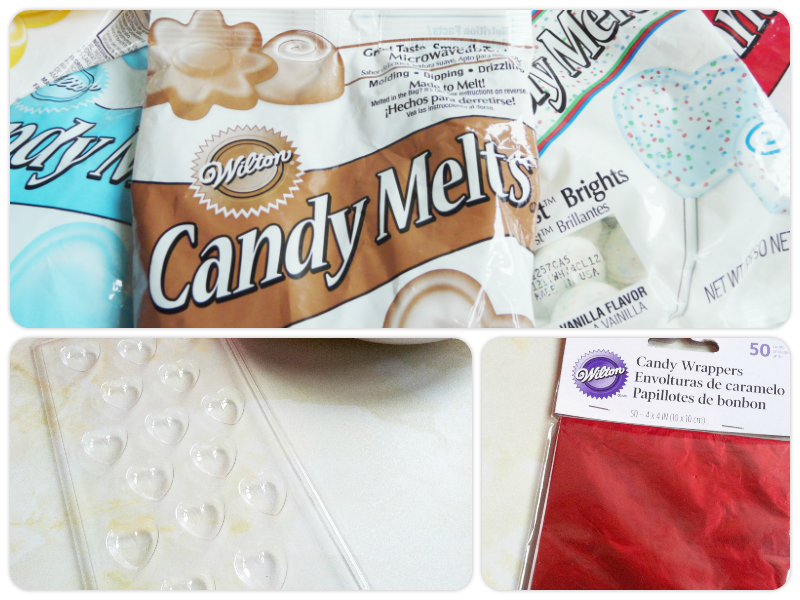 If you can find Candy Melts, you could melt down chocolate (white, dark, milk – whatever your loved one’s favourite is!) and use that instead of candy. It is unlikely that you’ll need to use the whole bag of Candy Melts, so melt a large handful, and if you need more, melts some more. You can melt them in the microwave – I do it in short bursts, or in a bowl over simmering water on the hob (much like you would melt chocolate). I find it easier to put the melted candy into a piping bag (or food bag with the tip snipped off) to pipe the goo into the moulds, but you can also spoon it in if you wish. When you have filled the mould, give it a quick tap to disperse any air bubbles. I do this by lifting it from the counter a little way and dropping it back down. Place the mould in the fridge to set – I find Candy Melts harden very quickly, and they’ll probably be done in about 10-15 minutes. When the candies have set, turning over the mould is usually enough for them to fall out – but if not, a little wiggle of the tray will soon have them popping out. 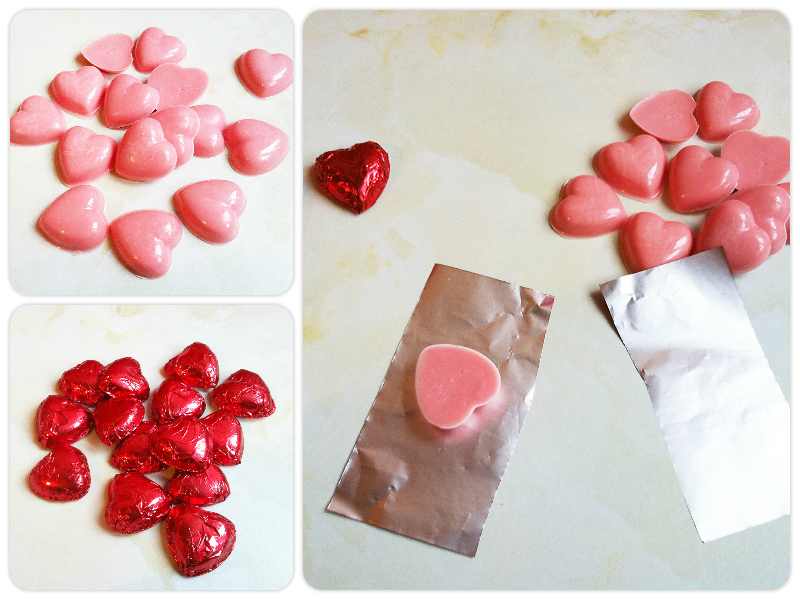 I halved the foil candy sheets and wrapped them around each heart candy, smoothing them over the surface and scrunching it closed at the back. You’ll soon discovered a method that is best for you. 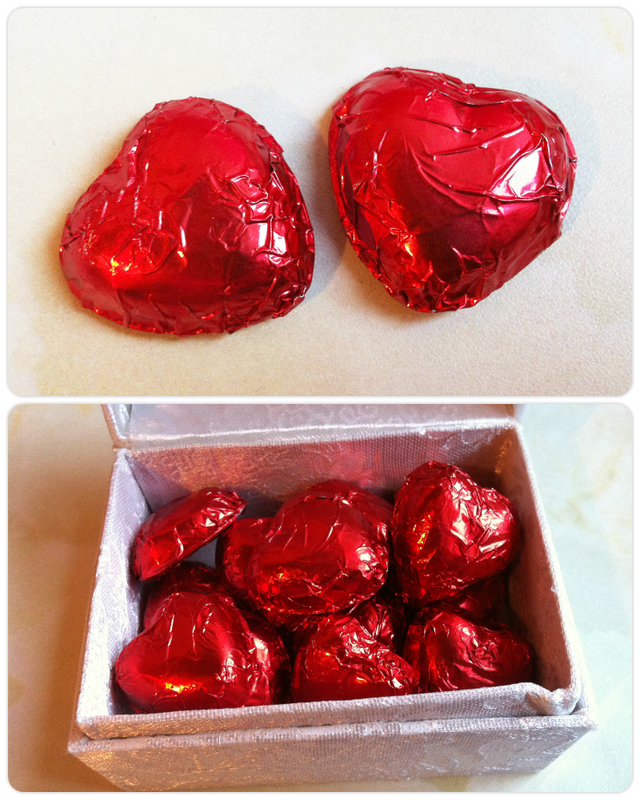 Please feel free to share these homemade Valentine’s Candies by using the social buttons at the bottom of this post! Don’t forget that you can join The Pumpkin Patch for member exclusive freebies, offers, and more; and follow The Purple Pumpkin Blog posts on Feedly or on Bloglovin’ so that you don’t miss out! These sound really yummy and look perfect as a valentines treat or as a wedding favour! Oh I have some candy melts. Now I know what to do with them! Haven’t heard of candy melts before, they look great! So cute, I have never heard of candy melts before- something to look our for! yum! sweets are that little bit sweeter when they’re home made. I hadn’t heard of Candy Melts until now either! The end result looks yum! These are so cute. Must buy Candy Melts now! What fun to make and they look delicious too. That is so clever! I love the idea of making these, and didn’t even know you could get things like candy wrapping foil or candy melts. Will have to try this with the kids. Oh I like the look of these! I haven’t heard of candy melts before…these look lovely! I would love to make something like this…thank you for sharing! Lovely idea – they look great too! Thanks for linking up to the Tuesday Tutorials Pin Party! I love this idea. I never heard you could make homemade candies, but it seems easy. These look yummy and so simple!